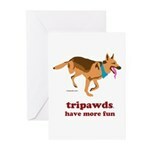 Act now to get your custom Tripawds jewelry and artwork ordered in time for delivery by Mothers Day! 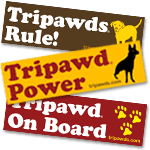 Save 25% OFF your entire order with Coupon Code: TRIMOM2015! 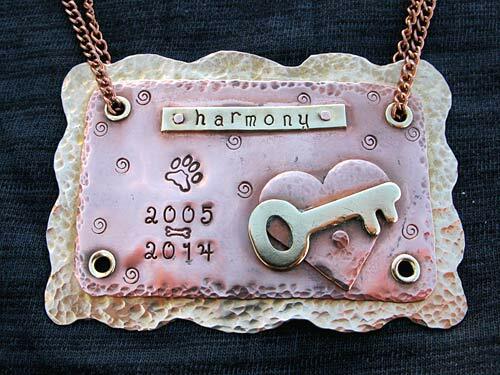 Save on personalized tribute plaques, necklaces and bracelets. 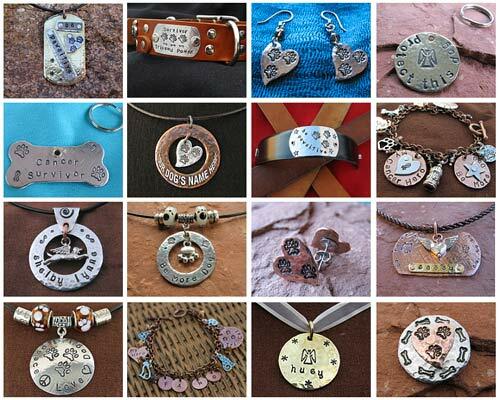 Custom charms and pendants and dog tags are a great way to honor all your Tripawd Heroes! 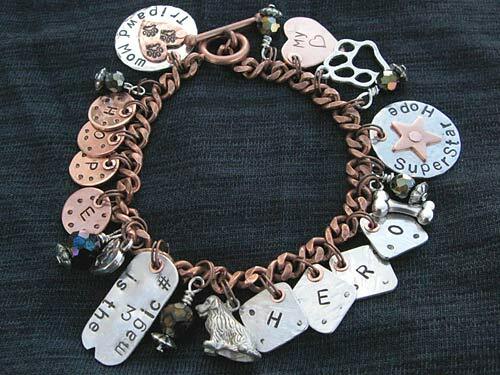 Or maybe a leather cuff bracelet and matching dog collar are more mom’s style! 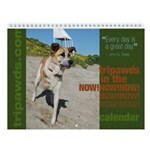 Tripawd Moms: See something you like? Get yourself something special! Or, tell your family to order early and save with Coupon Code: TRIMOM2015. 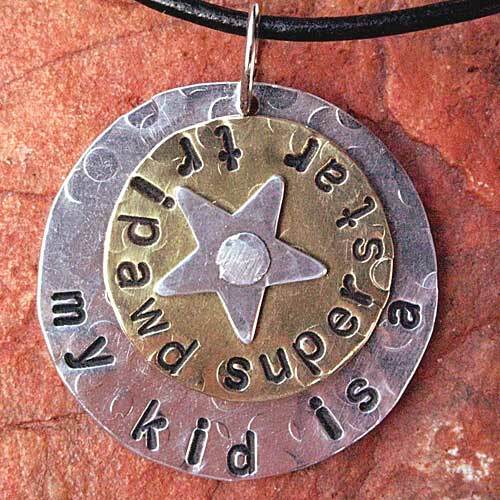 FIVE STARS FOR JEWELRY INFUSED WITH LOVE!! FIVE STARS FOR THE MOST UNIQUE WAY ON THE PLANET TO HONOR OUR HEROES!! I have the privilege of having several pieces as a way of paying tribute to my Happy Hannah. They are my “touchstone” to connect with her and keep her close to me. Flowers, candy…all nice. These are gifts that have deep meaning and last forever! Proud owner of Rene’s jewelry! Sally and My Eternal Light Happy Hannah and Merry Myrtle too! 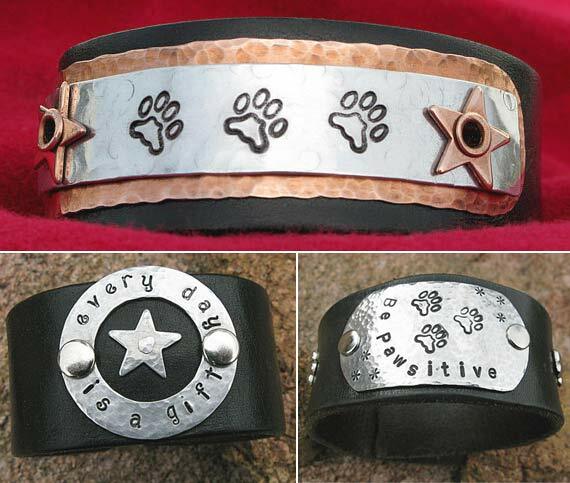 That leather cuff with the 3 paws and stars is MINE (or one just like it) and I love it! !